Snowy trails are receding while rocky trails are reappearing. That’s right, these warmer, longer days means that Lake Tahoe mountain biking season is just around the corner. 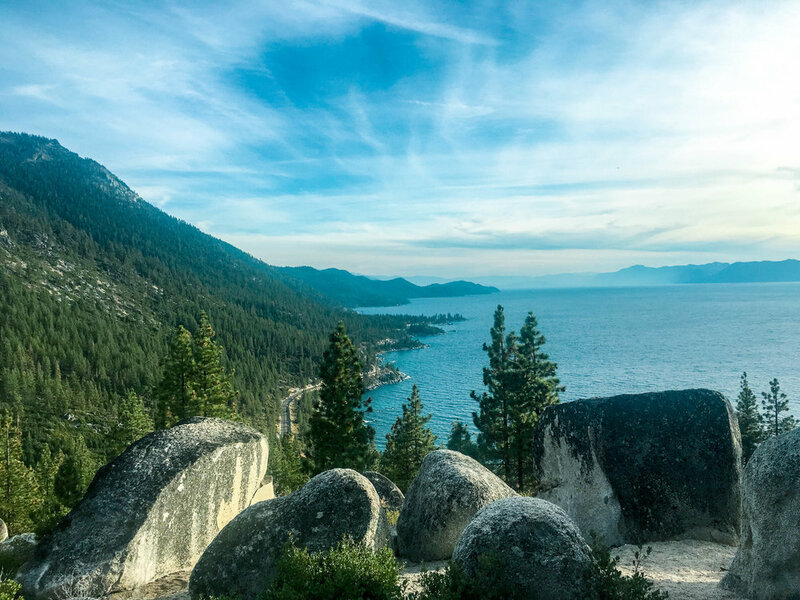 And while most people may associate Lake Tahoe for its skiing in winter or waters sport during summer, the area is home to world-class mountain biking. As such, I’m coming to you today with a few of the best mountain biking trails around Lake Tahoe. Honestly, it’s impossible to discuss Lake Tahoe mountain biking trails without talking about the Flume Trail near Incline Village. You’ll be hard pressed to find a more beautiful mountain biking trail in all of America. But it’s not for the uninitiated. As Flume Trail Bikes shares, “It’s a moderately difficult 1-way, 14-mile ride at 7,000 to 8,000 feet in elevation, and more than 1,000 feet of climbing." But the Lake Tahoe views! I recommend making a day of it by starting your day at Tunnel Creek Cafe for breakfast, where you can also then rent a bike and catch the shuttle to Spooner Lake State Park. You'll then ride the 14-mile trail back to the bike shop and cafe, where you can end the day with a beer. Located in Truckee, Sawtooth is a 9-mile, single-track loop for intermediate riders. However, with no more than a couple hundred feet of elevation gain over the course of 9 miles, it makes for a fun, rolling ride for most beginners, too. While it doesn’t have the overlooks that the Flume Trail does, Sawtooth has great scenery and overlooks, including Truckee River Canyon overlooking the Truckee River. Hikers and trail runners can also enjoy this as a good day hike. Located near Donner Lake, the Emigrant Trail is considered one of Truckee’s most popular mountain biking trails. Most riders begin at the Donner Party Camp Picnic Area, riding the rolling single-track, out-and-back 15-mile trail until they’re ready to return. Predominantly consisting of rolling hills with small changes in elevation, the Emigrant Trail is great for riders of all skill levels. Bonus points: This is often one of the first accessible mountain biking trails in the spring. 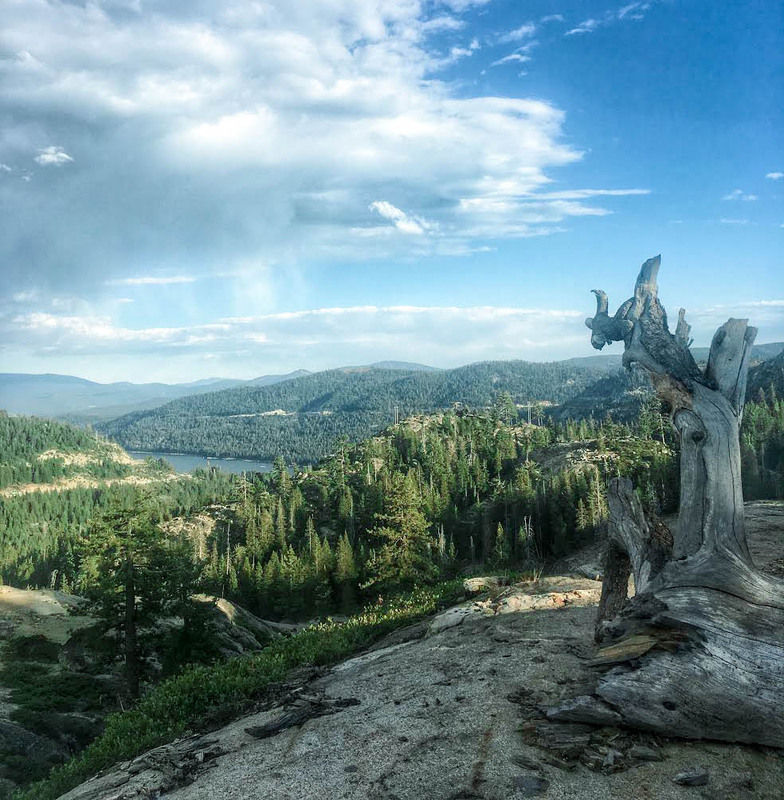 For a different perspective of Donner Lake, head up to the Donner Lake Rim Trail (DRLT). The DRLT is a land trust and volunteer project, which will be 23 miles once complete. Currently, several miles (out-and-back) are currently open for mountain bikes, accessible at a number of locations. 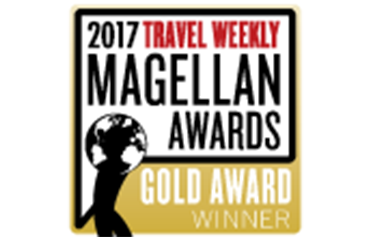 Many people access it at the Hole in the Ground Loop, which is also a popular Truckee mountain biking trail. While the Emigrant Trail is great for riders of all levels, the Donner Lake Rim Trail is more of a moderate to advanced trail. 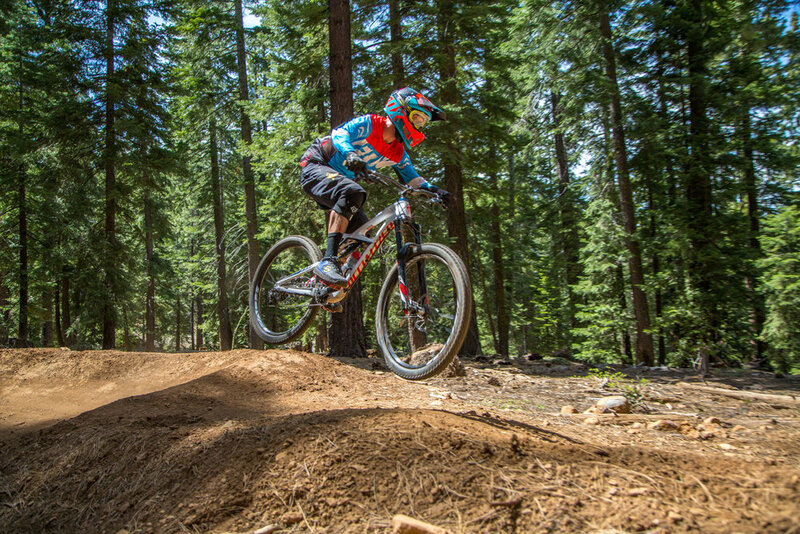 Northstar California’s Bike Park has consistently been rated one of the best lift-access bike parks in North America. The best part is that its all downhill, and categorized much like Northstar’s ski runs, so that it’s enjoyable for all bike levels. Plus, it’s home to the Specialized Bike Academy, the only one of its kind. I recently asked Northstar’s mountain bike program manager, Luke Sheppard, for recommendations as the bike park nears its Memorial Day weekend opening (weather and conditions permitting). His recommendations included Livewire, Northstar's premiere flow trail (2.1 miles with 42 jumps top to bottom), which is watered twice daily to create a riding surface that's fast, rolling, and with less dust. Elsewhere, Coaster is Northstar's newest top to bottom blue trail, featuring a mixture of intermediate berms, jumps, and natural obstacles, and a great starting place for those progressing from green to blue trails.